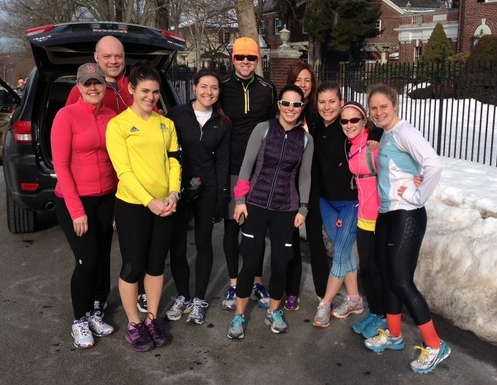 Like last year, the New England Aquarium is fielding a team of dedicated runners who will head out to Hopkinton for the Boston Marathon®. This year's race takes place on April 21. 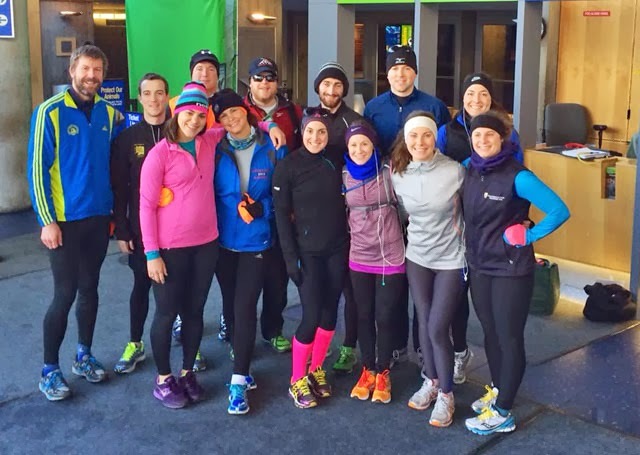 A great start–finish point for the team's 15-mile long run on Feb. 8: the Aquarium's cozy lobby! 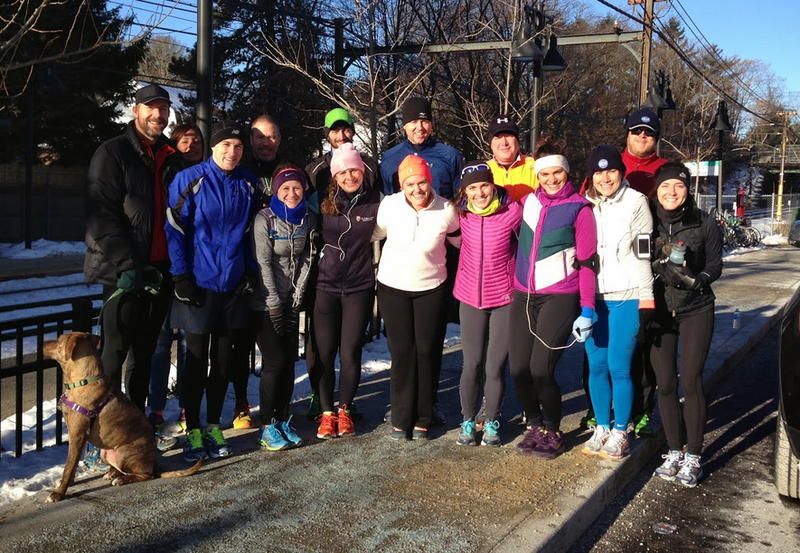 Well before the start of the race, these 25 individuals from around the world will have put in hours and hours of training, through some pretty grueling conditions this winter (for local runners, at least—an Australian teammate is training in summer). In fact, you may have seen many of them on the roads recently! Some of the planned training runs introduced the runners to the famed marathon course. After quick ride out on the T's Green Line (because taking public transportation is one way to live blue™!) the team plodded many miles toward the finish line. Many of this year's runners are returning to the team because they were unable to finish last year. In addition to putting in the long miles, each runner has committed to raising money for the Aquarium's traveling science education programs. These outreach programs bring the ocean to 45,000 children in diverse communities and schools throughout the Boston area each year. Outreach programs visit schools, afterschool programs and community centers, providing what is often the first opportunity for children to experience and learn about marine animals. Participants discover how these animals relate to their own lives and the simple things they can do to protect the oceans and our blue planet. Sharing the ocean with local kids is what all those miles are about! Each of the runners have individual training pages that explains why they are running the marathon in support of the New England Aquarium. Head to the marathon team's page and take a gander—you'll find some pretty inspiring stuff from runners hailing from around world. Now you know who to cheer for come April 21!